Guy Beahm, better known by his streaming persona DrDisRespect, has been absent from Twitch for some time. He won the Trending Gamer honour at last year’s Game Awards, but took a temporary leave from streaming after publicly admitting he had been “unfaithful” to his wife. 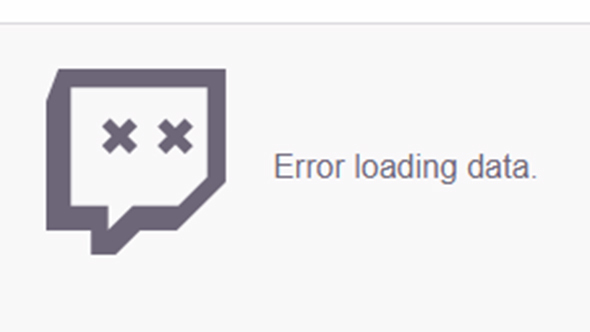 His return appears to have been so popular that it crashed Twitch entirely. Watch out for the second wave of battle royale games. Moments after the scheduled start time for DrDisRespect’s first stream back, Twitch was taken over by loading errors across the entire site. Streams in progress continued running, but it was impossible to open new links during the brief downtime. As of now, Twitch is back up and running, and DrDisrespect’s stream is quickly climbing in viewer numbers, already well over 350,000. DrDisRespect garnered headlines last year after a very public disagreement with PlayerUnknown himself, after the streamer was banned from the game for team killing. The return of another controversial streamer in Tyler1 set individual viewership records last month at over 380k, and DrDisRespect is coming very close to matching those heights. Assuming Twitch doesn’t break again, you can catch the stream most every day this week starting at 11:00 PT / 14:00 ET / 19:00 GMT.